The EMIN bus tour was warmly welcomed, during a brief stop, to the Macedonian town of Delchevo. 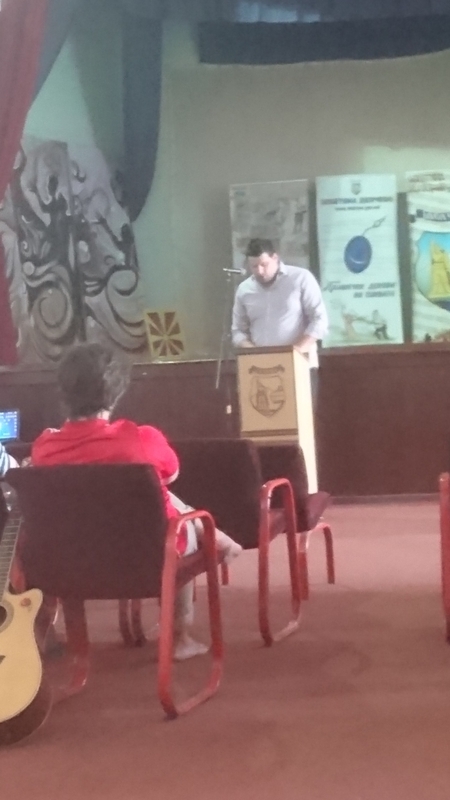 The bus stopped at the cultural center where we were greeted by the president of the city council – Dragan Manevski and local members of the Macedonian Anti-Poverty Platform. 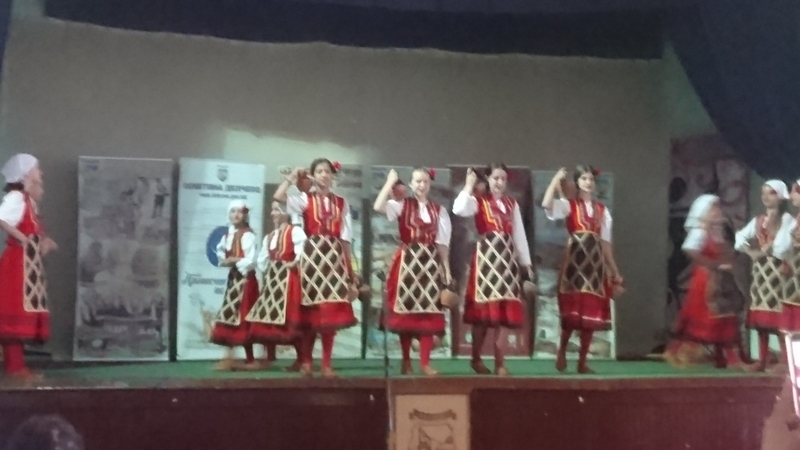 School children from the local dance society performed a traditional dance that we very much enjoyed and proved that culture and tradition are still vibrant. From conversations with the local people around the bus we found out that the local economy is underdeveloped and offers very few employment opportunities if any at all. This causes local people of working age to seek employment opportunities elsewhere in either Macedonia or abroad. As a result we found that the residents of Delchevo were very receptive to messages of the EMIN campaign. The mayor of the city joined the citizens of Delchevo in signing the bus, hoping for a better future for its constituency. As after the stop in Delchevo we were continuing our EMIN tour onto Bulgaria, our colleagues from the Bulgarian anti-poverty network – Maria and Duhomir met us there to show their support for the EMIN campaign in Macedonia and accompanied us over the border to Bulgaria.